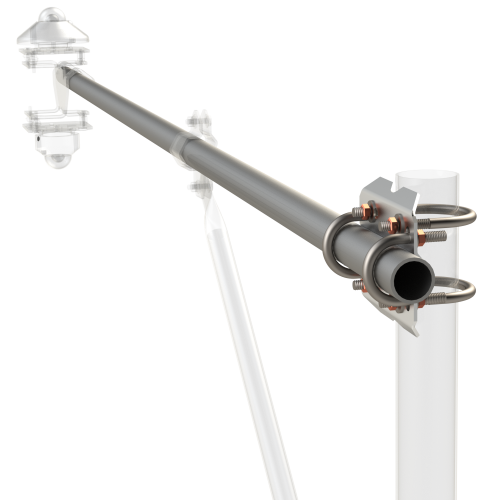 The CM206 is a crossarm that attaches to an instrumentation tower or tripod. It provides a rugged, weather-resistant sensor mount for up to two sensors. The CM206 is compatible with our tripods and towers. It can be attached to a tripod mast or a user-supplied pole.